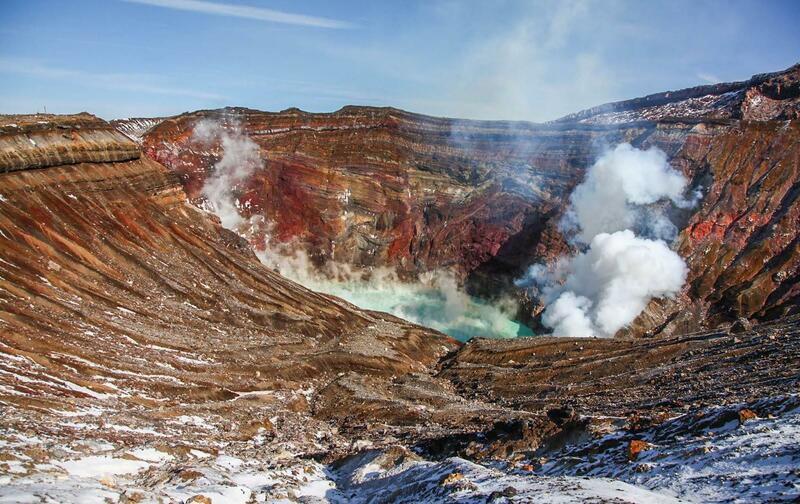 Mount Aso, located in the north-central part of Kyushu, is the largest active volcano in Japan, with a height of 1,592 meters above sea level and above all the caldera of 120 kilometers in diameter, making it one of the largest of the world. 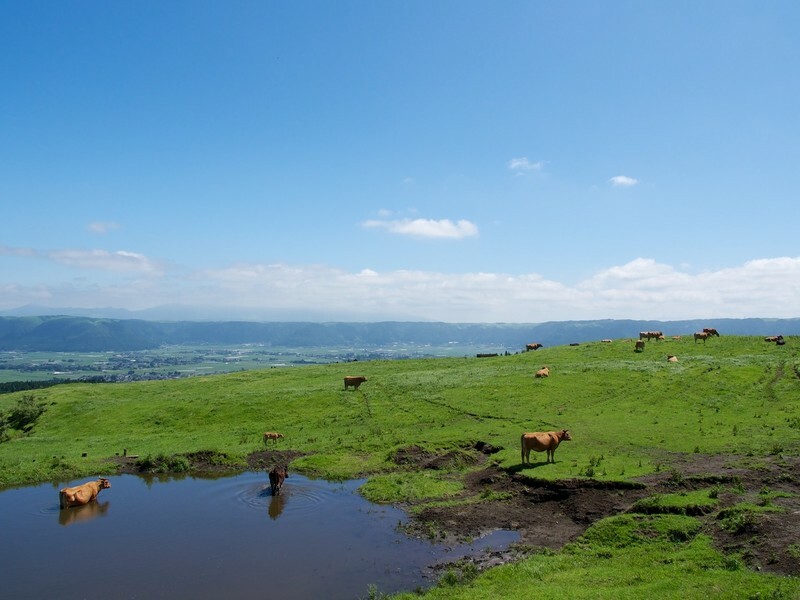 The nearest big town is Kumamoto, capital of Kumamoto prefecture. 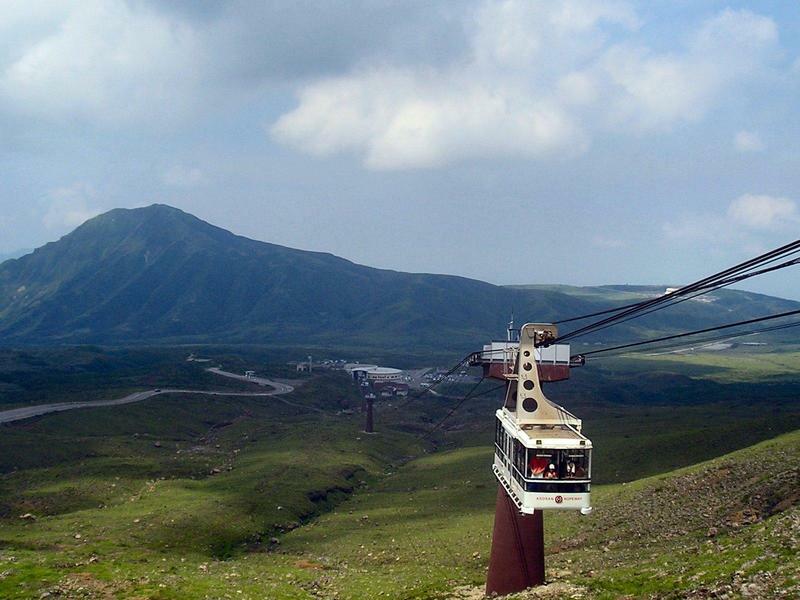 To get to this area you can take a bus (650 yen) from the JR Aso station, that in about half an hour will take you to an area with a large parking lot where you will find the valley station of the Mount Aso Ropeway (Aso Nishi station). Once you get this far you can decide whether to get to the crater by taking the cable car (4 minutes, 1200 yen round trip) or on foot along a path (30-35 minutes). In case you ever get to this point by car, you might also get to the crater via a toll road (600 yen). Mount Nakadake is one of the five main peaks of the area which is most generally known as Mount Aso, and it is also the area with the greater volcanic activity. The crater near the Nakadake continuously emits smoke and occasionally real volcanic eruptions. Whenever there are forecasts of too high amount of volcanic gases or risk of dangerous volcanic activity, the area is closed to tourists, so if you're planning a trip in this area it is good to check this page before you go (updated every morning, but only in Japanese). As explained above, it is possible to reach this area on foot, by car or cable car. This museum is located about 3 km from the Aso Nishi cable car station, here you will learn various information about the caldera of Mount Aso and volcanoes in general. You can ask for audio guides in English, Chinese or Korean before starting the visit. A vast grassland with various trails where you can enjoy a wide natural landscape, with two ponds and animal farms scattered here and there. In the distance you can see the smoke coming out of the crater Nakadake. A riding school on site organizes excursions on horseback around the area. 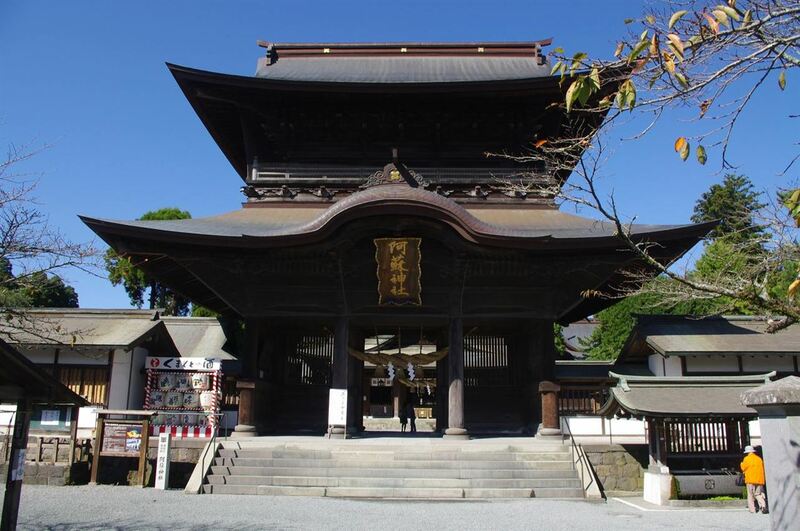 The most important Shinto shrine in the area, it is located approximately 1.5 km north of Miyaji station, a station 5 minutes to the east of Aso station along the JR Hohi line. It is worth a visit only if you are already in the area and have a bit of free time, nothing special. This family-run hostel (say hello to the nice Mr.Yoshi) is located less than 200 meters from Aso station, it is the ideal place to spend the night before heading out to explore the volcano in the morning or relax after a long hike before leaving for other locations. 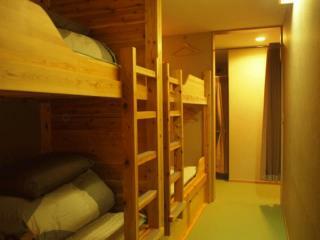 Dormitory beds from ¥ 2,800 per night, double private rooms from ¥ 6,000 yen per night. Bathrooms, kitchen and sitting area shared with other guests, washing machines, bicycle rentals, free wifi and computer stations. The area of Mount Aso is located in the inner area of the Kyushu region, between Kumamoto to the west and Beppu to the east. The main station, from where you can get the buses going to the area of the crater, is Aso station. The best way to reach Mount Aso from all major cities of Japan is first of all to get to Kumamoto, and then continue along the JR Hohi line (more details in the next paragraph). For all the information on how to get to Kumamoto from Tokyo, Nagoya, Osaka, Kyoto, Hiroshima, Fukuoka visit the Kumamoto travel guide. Two different limited-express trains directly connect Kumamoto station and Aso station: the Trans-Kyushu limited-express (70 minutes, 2040 yen, 4-5 trains per day), and the Aso Boy limited-express (80 minutes, 2040 yen, 2-3 trains per day). Alternatively, you could take various local trains along the JR Hohi line, and in some cases you will need to make at least one change (approximately 100 minutes, 1100 yen). From Beppu you can take the Trans-Kyushu limited express trains (2 hours, 3670 yen, 4-5 trains per day), these trains continue towards Kumamoto after stopping in Aso. Alternatively, you could take local lines: first of all you have to get to Oita station through the JR Nippo line, and from there continue on the JR Hohi line and making at least one other change. The whole way may take from 3 to 4 hours, for a total price of 2,130 yen. Buses connecting Kumamoto and Beppu, the Kyushu Odan Bus run by Kyusanko, make an intermediate stop near Aso station. From Kumamoto it takes about 2 hours and it costs 1250 yen, from Beppu it takes about 3 hours and a half and it costs 2980 yen. At this link in English you can check all the departure times. The nearest airport is Kumamoto airport. Further information in the Kumamoto travel guide.